How To Get There: Plane, limited flights and airlines. Soundtrack: Tennis, Bob Marley, Jimmy Buffet. 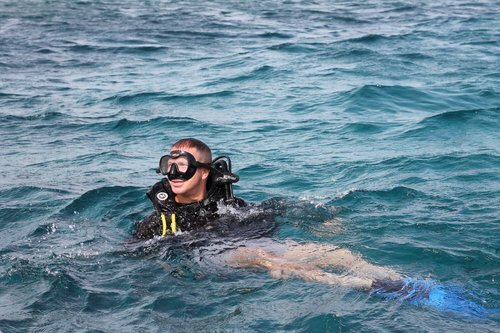 Best For: Scuba diving and snorkeling, people watching. Tips: Only rent a car for day trips. Plan dates around cruise ship embarkments to avoid crowds. Good to Know: Electricity is prone to outages on the island. USD are accepted most places (but use exact change). Attire: Khakis, floral dresses, flip flops. 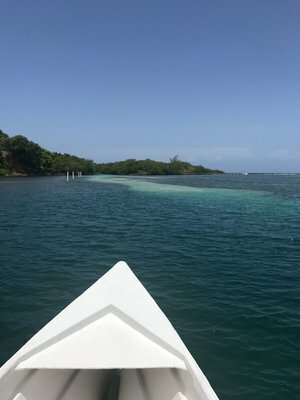 My half brother and his girlfriend of nearly two decades (finally) decided to tie the knot in their home away from home of Roatán, Honduras where they've been coming since they started dating. This island 30 miles off the coast of Honduras, is famous for having one of the world's best reefs and crystal clear waters. Given the tropical climate there, they picked July for their nuptials (although the middle of Summer seems like a hot time to be on an island, it actually wasn't too bad (and no humidity). There very few flights, (ie only 3 U.S. Carriers fly there on certain days of the week and one flight a day) which makes it super remote for Westerners, but it's a popular destination for Latin American vacationers. It's also a fairly new cruise port so there can be an influx of tourists there depending on when you go (luckily there weren't any ships scheduled the entire week we were there). The airport is tiny (one gate) but the customs process was very fast (and there were even Ex-Pats there greeting us and helping out). The power went out while we waited for the bags (and at other points during our time on the island which is common due to the infrastructure). Most hotels have their own shuttle service included (or for a small fee) but Taxis are easy to come by and usually a flat rate of $20-25 per car. There's plenty of Taxis to get you around but if you want more freedom and flexibility you can rent a car (or scooter) to get around (either at the airport or in town like we did at a little strip mall near the hotel). 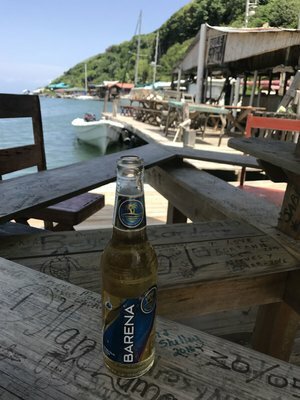 There are two main areas of Roatán: West End (a cove with a more local-vibe and dense with restaurants, ocean front dive bars and shops) and West Bay (larger resorts and dive shops along the reef). When traveling long distances, we like to squeeze in two trips in one whenever possible for a little variety and to make the most of the long venture. Since the wedding would take place in West Bay and since we got in a few days early (due to schedules and reward points) we stayed in West End the first couple nights. So glad we did because it's incredibly charming! Lots of regulars who al seem to know each other and everything is open air and walkable. I of course found the only boutique in West End and it did not disappoint. The Beach House is right in the center of the West End cove and has 8 rooms all with beach side views and private outdoor areas right on the water. We ended up in one of the newly renovated rooms on the first floor. The reception has everything you need (sunscreen, bug spray, hats, towels, endless advice) and the bar and restaurant on the 2nd floor (right off the lobby area) has the most delicious food and refreshing drinks (and your stay includes a welcome beverage FTW). 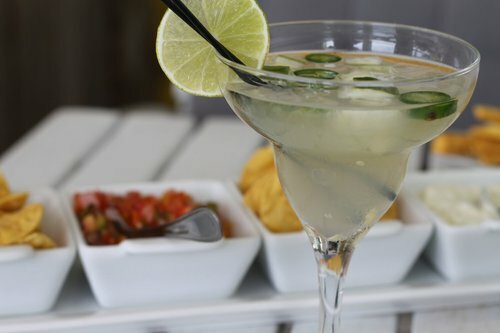 Our go-to was the jalapeño margarita with floating slices of fresh peppers floating on the top. 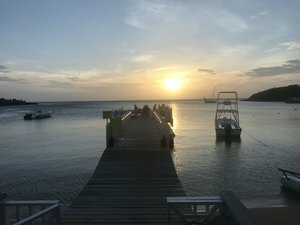 They also have a bar on the dock which was the perfect way to watch the sunset (and be serenaded by a local group of kids playing steel drums).